Bridal Hair Piece. CHOOSE YOUR COLORS. 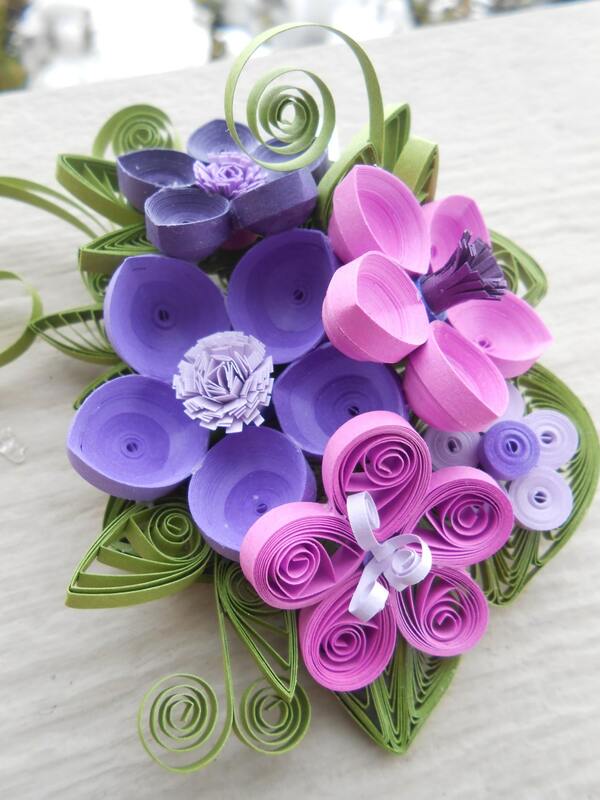 Wedding , Quilled Paper Flowers. Bridesmaid. 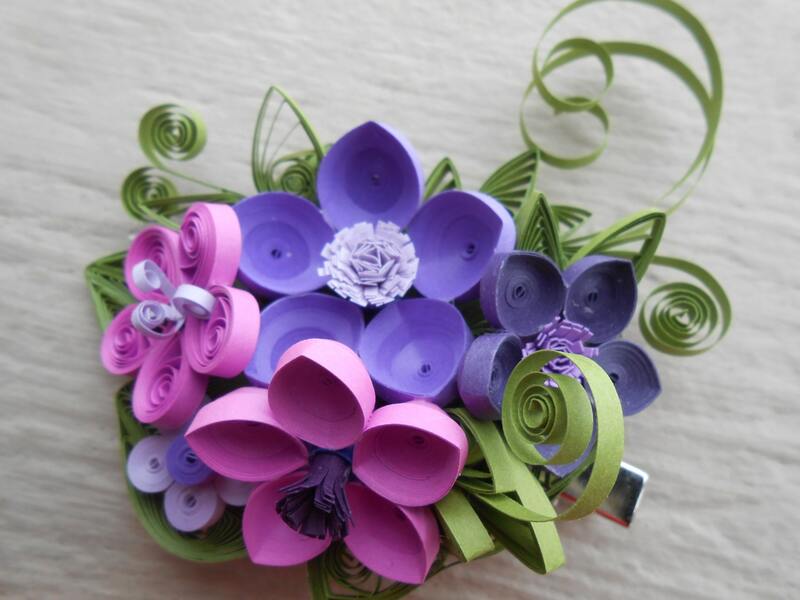 This paper flower hair piece would be perfect for any wedding! 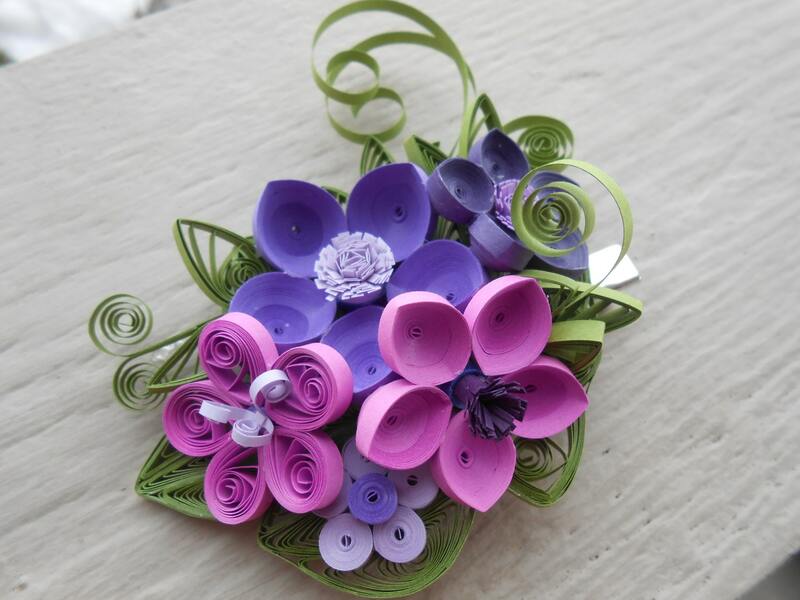 This hair piece has lots of different flowers. 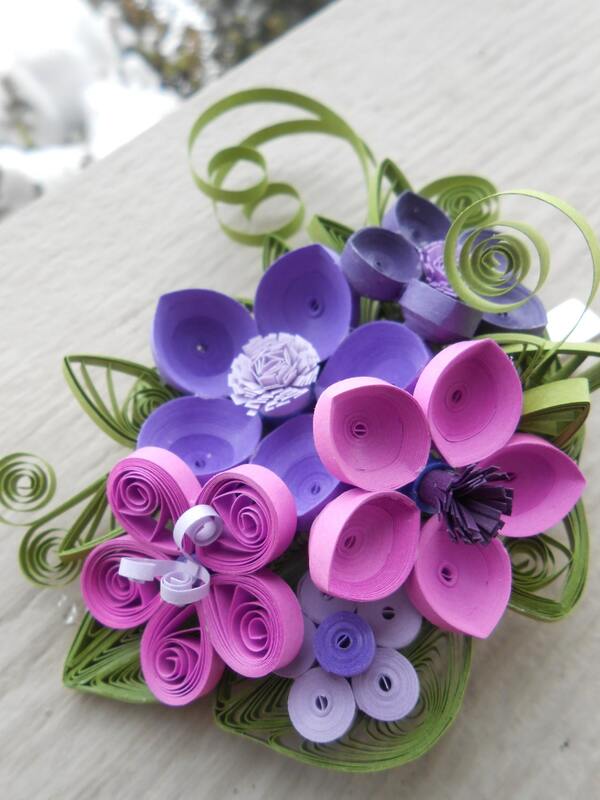 It is shown in many purple shades! There is purple, plum, lavender, and lilac. 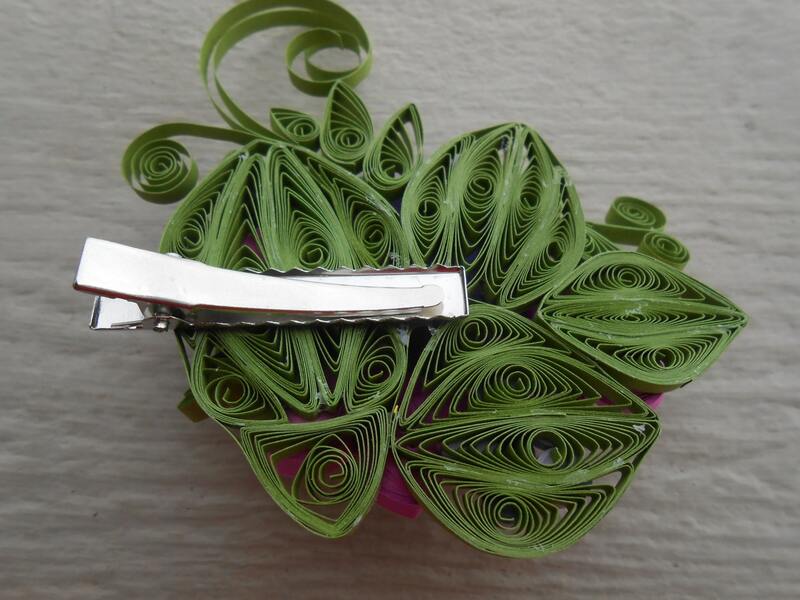 It has lots of green leaves and swirlies. It is very lightweight and can go anywhere within your hairstyle! It measures about 3.5" x 2.5". It is attached to a strong, silver alligator clip. I can do these in any colors you want! Please leave a message in the box at checkout if you want different colors. They make great gifts for bridesmaids too. Are you having a big wedding? I give discounts on orders of 3 or more. I can also do hair wreaths, head bands, corsages, tiaras, and wedding bouquets to match.